I get a lot of compliments on my hair color. I'm not being vain, I'm impressed. My natural hair is a lovely shade of dishwater brown — I think, I haven't seen it since my junior year of high school. It's had subtle highlights, chunky blond streaks, rebellious purple-red (a mistake for which I still haven't forgiven my then-stylist), and finally, a natural, warm red. It looks so natural against my pale, freckled skin, in fact, that most people assume it's my real hair color. That's me, above, on my wedding day last year. Vibrant and silky, right? This is due in part to the skilled colorists who have cared for it, but also to the shampoo and conditioner I use after I leave the salon. I'm obsessive about beauty products, particularly finding the ones that work for me. I've tried so many color care shampoos over the years that you could go to a drugstore, point to one, and I could tell you what it did to my hair. Some are so strong that I've watched in horror as the red color swirled my shower drain. Others have dried out my fragile ends almost instantly. But the biggest issue I have with shampoos formulated for color? They leave my hair feeling gunky, oily, or unclean. 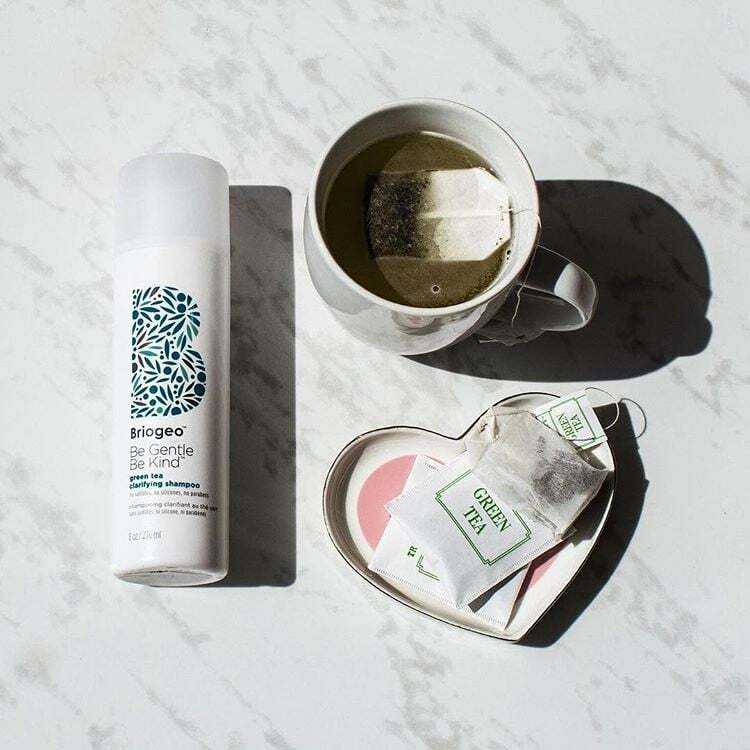 After years of trial and error, I've found my shampoo soulmate: Briogeo Be Gentle, Be Kind Green Tea Clarifying Shampoo ($24). I've been using this sudsy potion for two years now, and my hair has yet to experience any buildup, color-stripping, or drying. The sulfate-free formula actually lathers (an unnecessary but appreciated quality that many color-care shampoos lack) and makes my hair feel soft and clean. 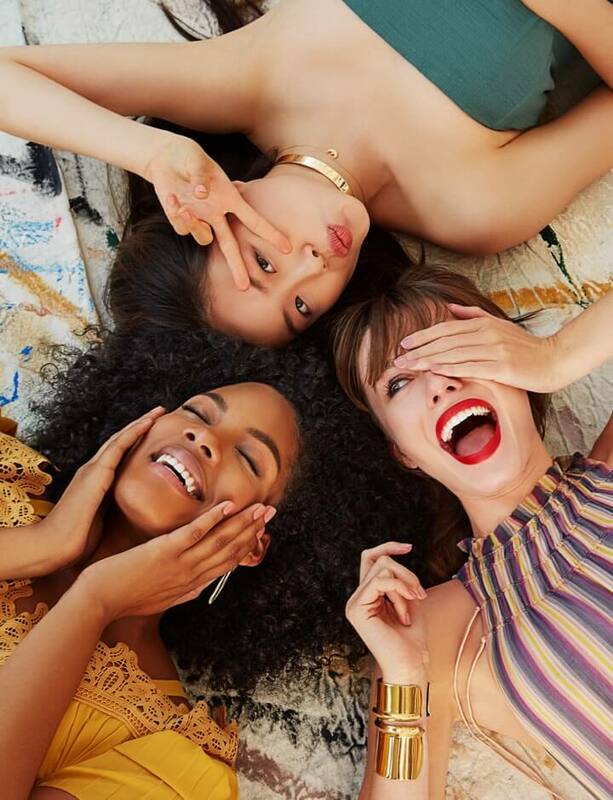 According to Briogeo, the shampoo features a "coconut-derived surfactants to promote a rich lather and effectively cleanse the hair without stripping color or causing a dull, dry appearance." So what I'm saying is, that's totally true. I pair the shampoo with a cult favorite from the brand, the Don't Despair, Repair! Deep Conditioning Mask ($36). The one-two punch cleans my strands then infuses them with vitamin B, rosehip, and argan oils. Both products are so gentle that my stylists have routinely remarked on how well my color has kept up between sessions. If you've been having some of the same issues I've mentioned, you may want to put these products in your cart!